Videos from Our Patients - See Our Success! In part 2 of a 3 part series, Dr. McLucas explains how the current issue with fibroids and power morcellators came to light and how they can be avoided all together with fibroid embolization. Cancer risk with a common surgery? In this, part 1 of a 3 part series, Dr. McLucas talks about the recent FDA statement regarding the use of power morcellators for treatment of uterine fibroids and how it can affect women. 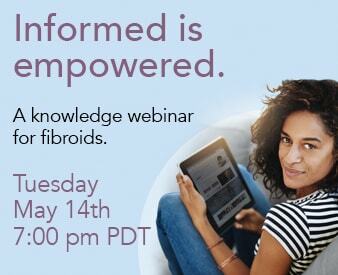 There is a lot of confusion between fibroids and cancerous uterine tumors and this series of interviews aims to clear up that confusion and help women with their options for fibroid treatment.